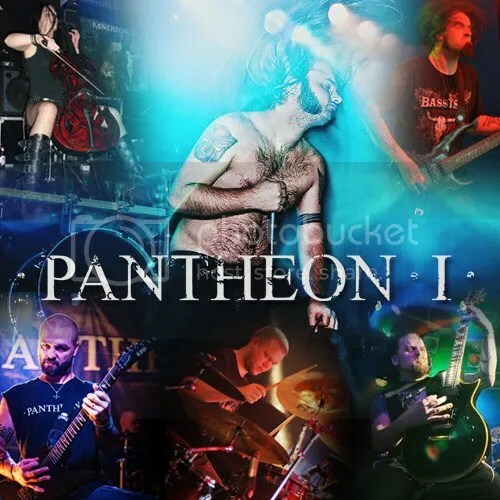 Kvebek’s video for “Martyr” can be seen at http://youtu.be/fJSwVCjFLSo (and at the end of this item) and the track can be heard at http://soundcloud.com/pantheon-i/pantheon-i-martyr-promo-track (as well as on the player at the top of this page). The competition will close on Christmas Eve, December 24th, and the winner will be announced on New Year’s Day. Anyone wanting more information or to enter the competition or should send a message to the band through their Facebook page at https://www.facebook.com/pantheoni . Likewise for any finished videos, please send a message with a link to the video. PANTHEON I recently entered the Skansen Lydstudio in Trondheim to begin recording their fourth full-length album and drum tracks have already been laid down, with Vegar “Vyl” Larsen (KEEP OF KALESSIN, CHTON, live session drums for GORGOROTH) behind the kit in place of the band’s drummer Mads G (THE ALL SEEING I, ZEENON) who is currently unwell. Aside from Kvebek, the line up includes former ABSU guitarist Aethyris McKay on guitars and clean vocals, cellist LiveJulianne, Sagstad (TROLLFEST, SARKOM) on guitars and T.R.S. (1349, DEN SAAKALDTE) on bass. Drummer Mads G will continue with the band, and will only be absent for the recording of the new album.